The final woman in this year’s WSOP Main Event, Jackie Glazer, was eliminated in 31st place on Day 6, which ended what was a solid showing for women in this year’s WSOP. 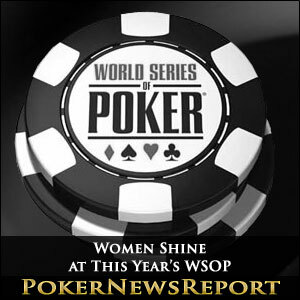 While the WSOP Main Event is still yet to see a female winner in its 43 year history, three women took out Gold Bracelets in other events at the 44th annual WSOP. Of course, one of those winners was in the $10,000 Ladies-only No Limit Hold’em Championship, which was Kristen Bicknell. Bicknell’s win, which came after 51 events at this year’s WSOP, appeared to open the floodgates for the women at the poker table, with two of the preceding 11 events won by women. Dana Casteneda was the first of those, winning the $1,000 No Limit Hold’em event (#54) to take out her first ever WSOP Gold Bracelet. Casteneda beat a field of 2,883 players, most of whom were men, to win the event and the $454,207 first place cash prize. That stellar performance was followed by Loni Harwood’s win in the $1,500 No Limit Hold’em (#60). The 23-year-old poker pro won $609,017 and her first WSOP Gold Bracelet after being a field of 2,541 players in the three-day event. Harwood’s win capped off what was an excellent WSOP for the American, which included final table finishes at two other 2013 WSOP events. While these three women were the only female Gold Bracelet winners at the WSOP this year, a number of other women also did well by finishing in the final tables of numerous events. Julie Schneider was the first female to make it into the final table at this year’s WSOP when she finished in ninth spot at the $2,500 Omaha/Seven Card Stud Hi-Low 8-or Better event (#5). While that was the only high finish for a female for a number of events, it did set the stage for what was one of the best WSOP showings for women. The $5,000 Pot Limit Hold’em event (#19) saw another woman put an excellent poker performance as Kristina Holst finished the tournament in sixth place. That was a solid showing in an event that featured other high level players such as Bertrand Grospellier and Davidi Kitai (who won the event). Taiwanese poker marvel Maria Ho also showed why she is one of the top poker players in the world by finishing sixth in the $2,500 Limit Hold’em Six Handed event (#48). While a WSOP Gold Bracelet is still elusive for Ho, the final table performance put her up to 21 cash finishes at the WSOP. 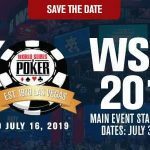 It has been difficult for women to win WSOP tournaments simply due the fact that they are heavily outnumbered by men at the poker table, which puts the statistical odds out of their favour. But if the showing of females at this WSOP is anything to go by, such statistics will be irrelevant in the near future as women continue to take out events at the top level.